Lady and the Blog → Living → Will I See You At iRetreat In New Orleans? $40 Off Code Here! 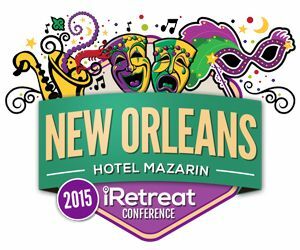 Will I See You At iRetreat In New Orleans? $40 Off Code Here! I’m heading down to New Orleans in June with one hundred other bloggers to attend iRetreat and would love for you to join us! I even have a discount code to share with you that will cut $40 off the ticket price! If you’d like to score $40 off the iRetreat ticket, be sure to use code AMBASSADOR at check out. Click here to register. I really hope to see you because iRetreat is an intimate affair that is always such a wonderful experience. This will be my third time attending and I know it will not be my last. Previous Post: « Shelfie: The Bathtub Tray for Safer Play!